Texan Girl Talks: A Corgi Visit and Other Nonsense. 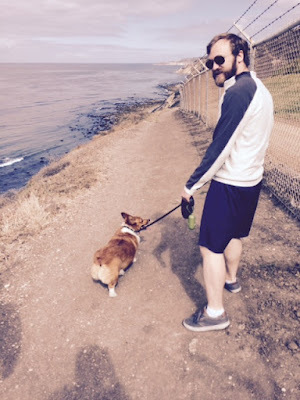 A Corgi Visit and Other Nonsense. Ok, so last week was FULL. We celebrated a birthday, a promotion and a long lost friend who decided to visit us. Needless to say it was the best. I believe birthdays are so, so important. They aren't just about gifts, their about living and celebrating another wonderful year of life. I just remember that not everyone gets to celebrate a year older, so it really is a special gift. This is the face I always get when I want to take a picture. One day Matt Coates, you'll thank me. One day. There was lots of playing on the WiiU. I get so excited about old school games. I secretly have a love for Super Mario 3. You can just ask my brother, 92% of our fights over the summers growing up were because of this one game. I have to say this year I got super creative and wanted to share this super cool idea. It's a bottle opener that you can hang on the wall. I recently discover Etsy, before you judge me too hard, I knew about it before, but never shopped on it. What's even more cool the people who made this craft went to the Air Force Academy (clearly these people made me a client for life), and will design this anyway you want it. Paola is super amazing and is very attentive to your specific needs. We love our new bottle opener! Check out her store here. They have tons of other crafts on their site. Keep them in mind for the holidays, they ship super quick. So there was Matt's promotion ceremony, which was super cool. After we got to go to a local pub and had a great time. I don't even mind that Matt's boss is photo bombing this picture. Oh yes, so I said we had a friend come visit. Yes, T-money came to visit and he brought his Corgi, Watson with him!!! Don't worry Tirah, Watson didn't bother the cats one bit. He was one sweet puppy dog! Plus, I was amazed the cats didn't even bother him. Maybe this means we can get a dog?!? We decided to go on the trails. Which were spectacular this Saturday morning. 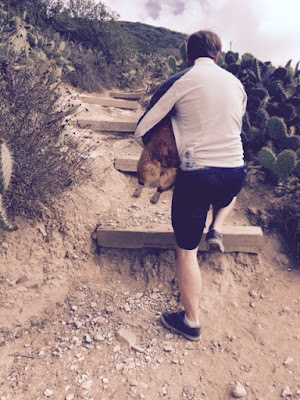 We hiked about 5 miles, can you imagine how many miles this was for this Corgi? He probably thought he was going to die out there. Poor baby and those short little stumps. Don't worry Watson made it. Random tangent: Troy you have turned into a straight hipster. I love it though. 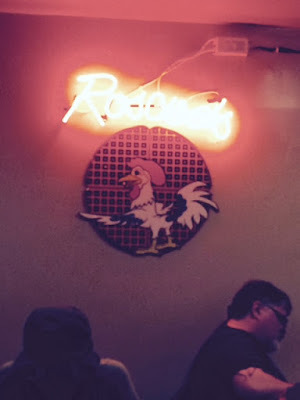 Our hike called for some soul food at Roscoe's Chicken and Waffles in Long Beach, CA. Y'all it's pretty freaking amazing. I didn't remember to take a picture of my food, but you can take my word how glorious it was. I guess because Watson was hanging out with us, Lou needed a little lovin'. He gets needy sometimes. 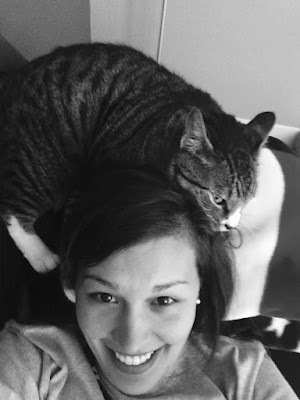 Yes, he was all up in my dirty hair. Cats love dirty hair, it's really weird, and extremely convenient that I only wash my hair every two days. Don't act like you wash your hair everyday. 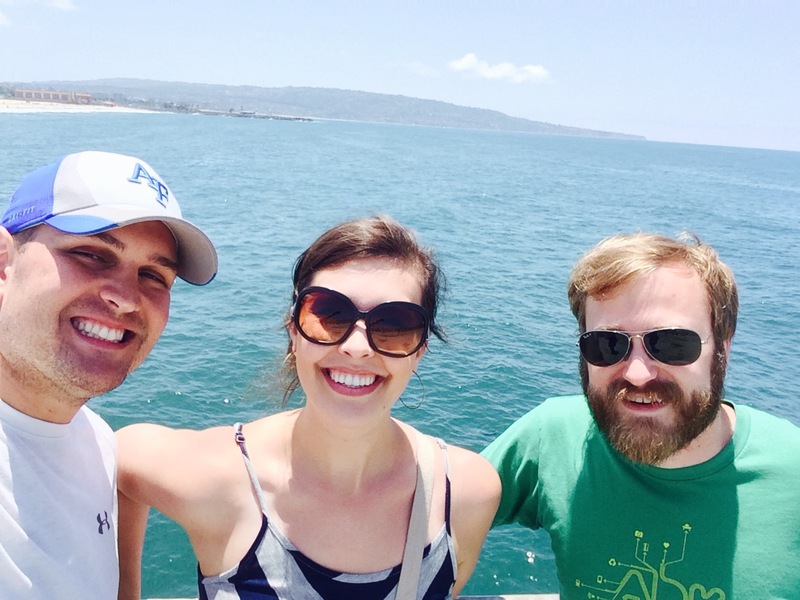 We ended our weekend at Hermosa Beach and Santa Monica Pier. These days we don't get see our friends as much as we like to, but when we do it's the best and try to make the most out of it. They say if you have a friend for 7 years, you'll mostly be friends for life. T-money, looks like you can't get rid of us now.